As the most prestigious award in American journalism, literature and music, it’s not quite a BET Hip-Hop Award (word to Iggy Azalea), but it sure as hell warrants an update to your Twitter bio—and your annual salary. Since its auspicious arrival in 1917, this distinction—named after legendary newspaper publisher Joseph Pulitzer—has bestowed the illustrious title of “Pulitzer Prize winner” to only the best and the brightest, as the rest of us mere mortals can only watch in admiration and awe until our own time comes. 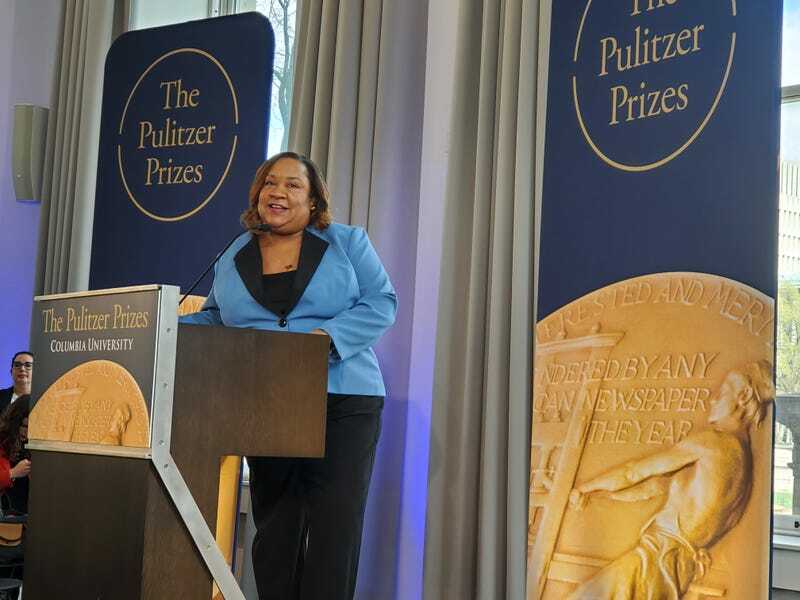 On Monday, Prize administrator Dana Canedy announced the latest collection of recipients at Columbia University in New York City. And though I regret to inform you that I failed to take home the prize this year (feel free to suspend your belief long enough to pretend that I was even nominated), those who did are among elite company—as there was plenty of black excellence to be found. Respect due to each and every one of these brilliant individuals, who will also receive a $15,000 award for their contributions.